Since drafting Shaq Thompson and David Mayo in the 2015 draft, the Panthers have not signed a free agent linebacker of consequence, choosing instead to build depth through either late round picks like last year’s Jermaine Carter and Andre Smith, UDFAs like Jeremy Cash or Jared Norris or veterans from the practice squad like Ben Jacobs.  But heading into 2019, with Thomas Davis leaving and Mayo, Jacobs and Norris all set to hit free agency, this may be the first year in the Kuechly Era that the Panthers look to free agency to reload the back end of their linebacking corps. With that being said, if the prevailing thought is that Kuechly, Thompson and Carter will be the top three, who will compete with Andre Smith for the final few spots on the roster? 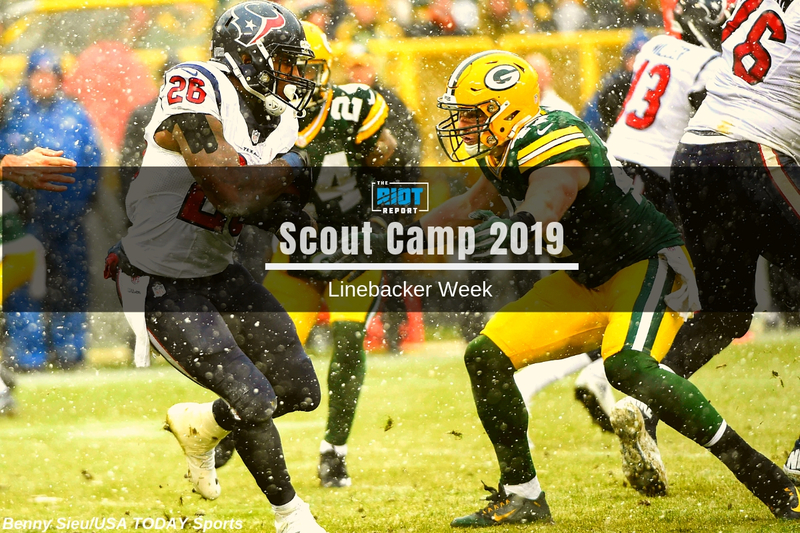 While Vincent Richardson has pointed out three potential late round draft options – Cole Holcomb, Bobby Okereke and David Long – there are some linebackers available in free agency that might garner some interest from Marty Hurney and the Panthers’ front office. While high-end options like Dee Ford, Jadaveon Clowney and C.J. Moseley may entice some Panthers’ fans, if the team is trying to fill out the roster, they’re less likely to be looking to spend big money at a position where they already have over $26m invested into Luke Kuechly and Shaq Thompson. It wouldn’t be utterly shocking to see Norris, Jacobs and Mayo all back for training camp – none of them made over $1m last season and at that price point, it may make sense to go with the devil you know rather than the devil you don’t. Related: Bruce Irvin And The Panthers "Just A Great Fit"
With that in mind, let’s take a look at some other realistic options for the team. 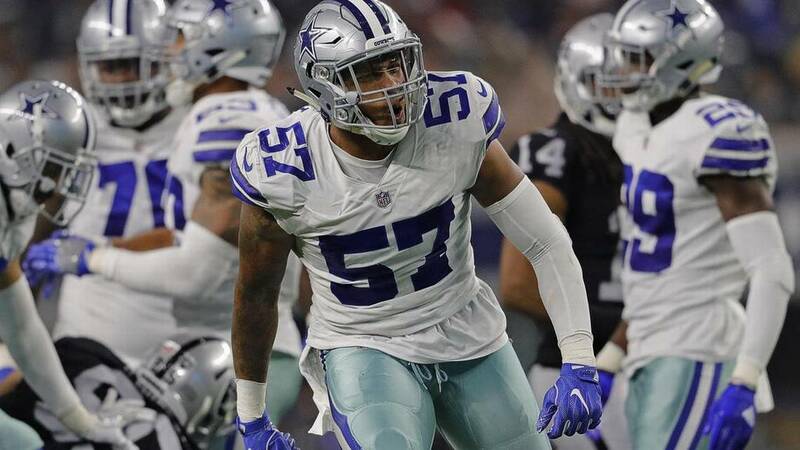 Damien Wilson, Dallas Cowboys – Wilson was a leader on special teams for the Cowboys last season, staying on the field for almost 83% of the available snaps for the Cowboys’ third unit, but he may be unlikely to return to a team that spent a first-round pick on Leighton Vander Esch in 2018; Wilson has shown the ability to be an aggressive and willing tackler and shows solid instincts in tracking ballcarriers in limited snaps throughout his career and could come in and contribute immediately on special teams and have upside as a backup linebacker should Thompson/Kuechly falter to injury – Thompson hasn’t played all 16 games in any season of his career. Preston Brown, Cincinnati Bengals – After a stellar showing his first four years in Buffalo, the 6-1, 251 pound Louisville product signed a one-year ‘prove-it’ deal in his hometown Cincinnati and didn’t live up to high expectations for the first half of the season before being placed on injured reserve with a knee injury – however, Brown has a unique mix of size, athleticism, talent, and intelligence and tied for the league lead in tackles in 2017, so if he’s available for the right price, he would certainly be a rich man’s backup for Luke Kuechly, who played all 16 games last season for only the first time since 2014; Brown would be a direct replacement for Mayo, albeit likely at a higher price point. Denzel Perryman, Chargers – This former second-round pick has shown bursts of talent, but missed the second half of last season with a knee injury, which would lower his price point and make him an affordable depth piece with upside – Perryman had 51 tackles and two interceptions in nine games last season. 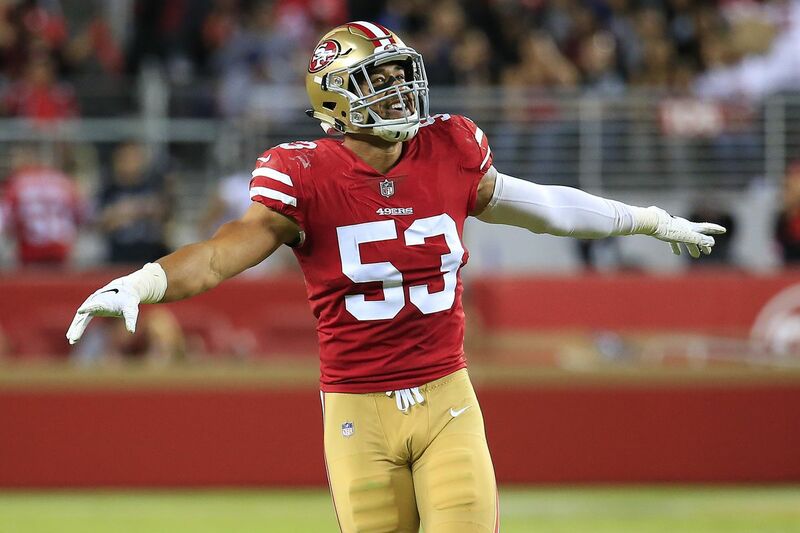 Mark Nzeocha, 49ers – Another special teams standout, the 29-year old born in Germany was pressed into duty when the 49ers faced depth issues at linebacker, which would likely be the exact type of role that the Panthers are looking for in their final few linebacker slots – a special teams contributor with the ability to not be a liability should he be needed on defense. Jake Ryan, Green Bay Packers – Ryan tore his ACL in the first week of 2018’s training camp, so any signing would come with a caveat of full health, but assuming that, Ryan has a similar skillset to Mayo on defense – a plus run defender with his coverage skills still something that opposing offenses will take advantage of if he’s on the field for large swaths. However, could he provide depth with upside at a cheap price? Absolutely. Jeremy Cash, Arizona Cardinals – Don’t forget that Cash made the roster twice as an UDFA before reaching an injury settlement during the 2017 season – he’s bounced around the NFL since then, it wouldn’t be surprising to see the former Duke standout in Spartanburg this summer, even if he is still a restricted free agent in Arizona – the new coaching regime may not value him as highly as Steve Wilks did.